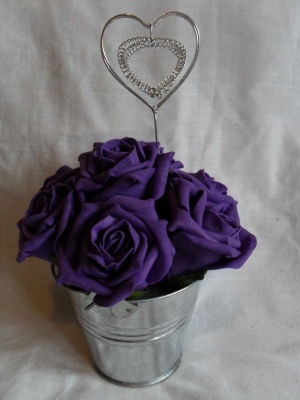 Purple foam roses and a silver coloured heart to hold your table number or favourite photograph. In a zinc container containing 7 purple foam roses. Measures approx 21cm.